Ever-steeper home prices: check. Buyers clamoring to get into those precious homes: check. Real estate newbies scooping up homes to renovate quickly and sell for a profit (i.e., flip): check. On first or second glance, things are looking awfully similar to the real estate boom that preceded the epic bust. But wait: There’s no need to start stuffing your life savings under your mattress for safekeeping just yet. If you look beneaththe surface, there are key differences between then and now, a realtor.com® analysis of housing and economic data shows. 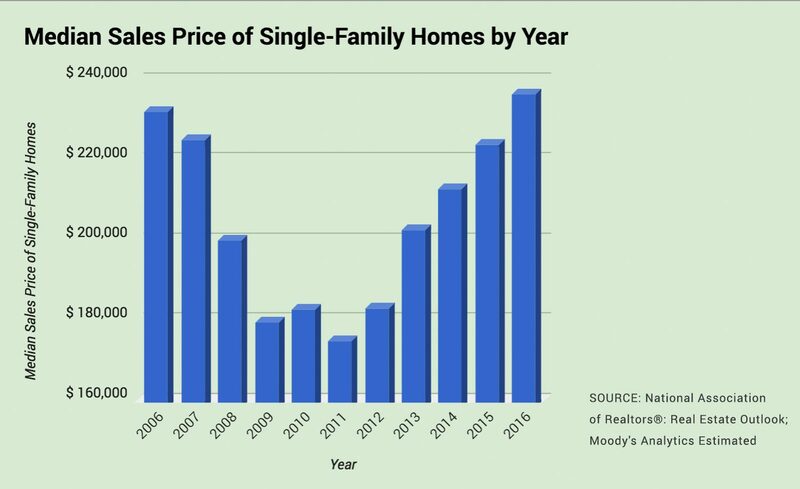 Well, the U.S. median home sales price in 2016 was $236,000, 2% higher than in 2006. 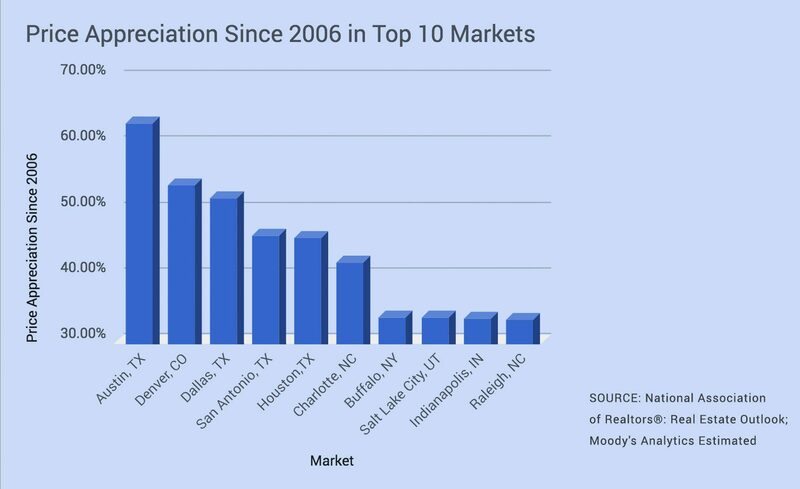 In fact, 31 of the 50 largest U.S. metros are back to pre-recession price levels. Austin, TX, has seen the largest price growth in the past decade: 63%. It’s followed by Denver, at 54%, and Dallas, at 52%. Nationwide, realtor.com data show that listing prices have been up by double digits for the majority of 2017. The biggest change on the housing scene over the past decade is that lending standards are the tightest they’ve been in almost 20 years. The Dodd-Frank Act, which was passed to tamp down the risky lending that led to the bubble and its collapse, requires loan originators to show proof that a borrower can repay the loan. As a result, the median 2017 home loan FICO score was 734, significantly up from 700 in 2006. The low end of the range has pulled up as well. The bottom 10% of borrowers have an average FICO of 649 in 2017, up from 602 in 2006. For just about as long as we’ve had a housing market in this country, folks believed that prices would never go down and that a home was always a good investment. This inspired a lot of flippers and developers to get into the game (well, HGTV may have also played a part). Unfortunately, the housing crash exposed this fallacy big-time. In 2006, the share of flipped homes reached 8.6% of all sales, exceeding 20% in some metros such as Washington, DC, and Chicago. Some of those flippers took out multiple loans to afford their properties. With today’s tight lending environment limiting borrowing power, however, flipping accounted for a more reasonable 5% of sales in 2016. Similarly, builders chasing profits as prices rose ended up building more than what the market was demanding. In 2006, there were 1.4 single-family housing starts for every household formed, well above the healthy level of one per household. 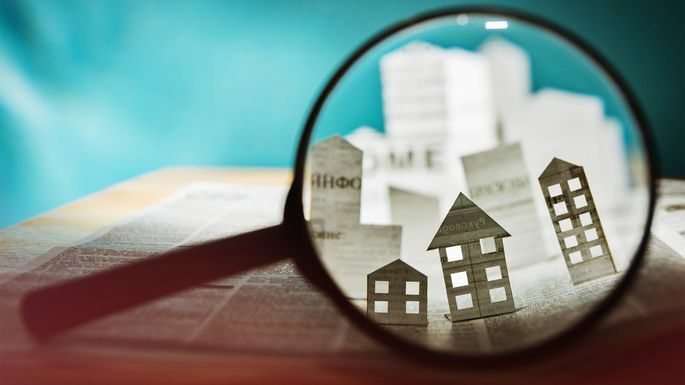 But while stricter lending standards have kept flipping and overbuilding in check, they are contributing to severely constrained construction levels, which contribute to the housing inventory shortage—and that’s keeping prices elevated. Today’s market is well below normal construction levels with only 0.7 single-family household starts per household formation. In October, unemployment hit a 17-year low, at a rate of 4.1%. In 30 of the 50 largest U.S. metros, unemployment is less than half of 2010 levels. Employment is particularly robust among millennials, who are just starting their careers: In September, employment reached 79% in the 25–34 age group, back up to 2006 levels and 5% higher than 2010. But at the same time, there are 600,000 fewer total housing starts and nearly 700,000 fewer single-family housing starts. Millennials made up 52% of home shoppers last spring, and with the largest cohort of millennials expected to turn 30 in 2020, their demand for homes is only expected to increase. In Austin, local real estate agent Jason Bernknopf has been in the business for about 15 years, currently with AustinRealEstate.com. In his view, Austin wasn’t hurt much by the housing market collapse because home prices were already low. Plus, Austin has a diverse economy with plenty of stable jobs in government (it is the state capital, after all) and tech companies such as locally based Dell and Samsung, IBM, and Apple. The city has developed a lot in the past 10 to 15 years, Bernknopf says, as it drew people from far more expensive areas such as California. 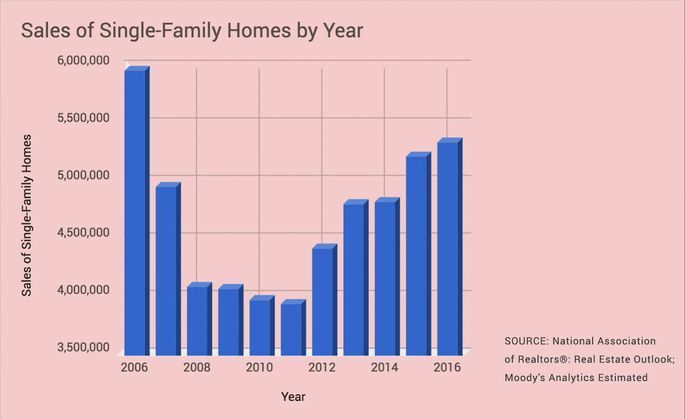 There’s also a building boom in the suburbs, where young families are moving in search of more space and better schools. Denver, another recent tech hub that was relatively sleepy before the crash, has seen a similar transformation since the recession, says Jeff Plous, an associate real estate broker at One Realty in Denver. In 2008, prices slowed, but there were no crazy drops, he says. And then things really turned around. In August, he sold a $400,000 home for $40,000 over asking. The four-bed home in a good neighborhood had netted 12 offers. Time for a reality check: Not every market is booming 10 years after the big crash. Three major housing markets—Las Vegas; Tucson, AZ; and Riverside, CA—remained more than 20% below 2006 price levels at the end of 2016, at 25%, 22%, and 22%, respectively. “The recession here in Las Vegas was deeper and longer than nationally,” says Stephen Miller, director of the Center for Business and Economic Research at the University of Nevada, Las Vegas. The center’s research shows that before the recession, the Las Vegas population was growing about 4% annually. Now it’s growing at about 2% annually, a growth track that still portends well for the future. In Tucson, real estate broker John Mijac at Long Realty Co. saw a lot of excitement, speculation, and inflated prices in the market before the crash. The area was hit particularly hard. Many Tucson-area investors lost homes to foreclosures and short sales. “For quite a while, that was the primary movement in our market,” he says. “Now that’s gone away.” He’s starting to see more building come back, along with more home flippers. Again.